In mid-August, Rory McIlroy and his performance team visited the Bahamas for five days of concentrated practice and training. McIlroy hit the range, the weight room and, of course, the links. 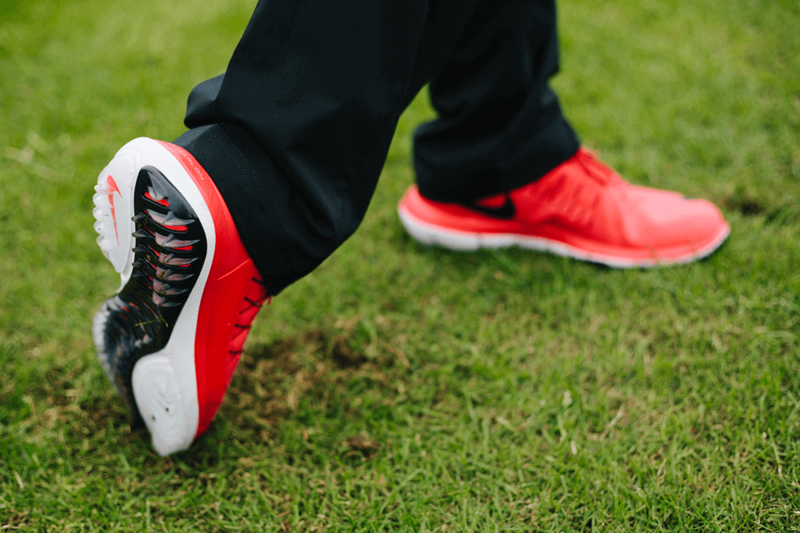 McIlroy also used the relative seclusion for final testing of Nike Golf’s latest shoe: The Nike Lunar Control Vapor, putting to paces its Articulated Integrated Traction outsole. 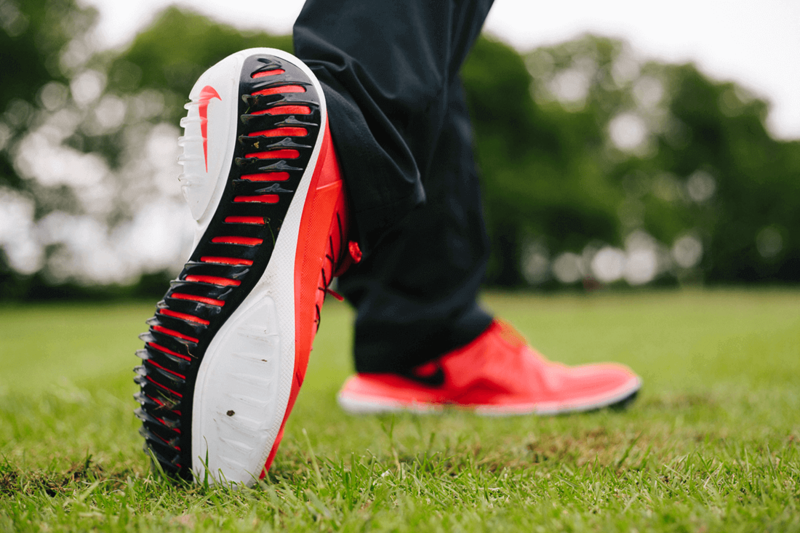 Nike tell us that after an initial trial on the driving range, McIlroy played nine holes and deliberately hit extra shots from all possible angles- side-hill, down-hill lies, bunkers and more- to push the limit of the shoe. 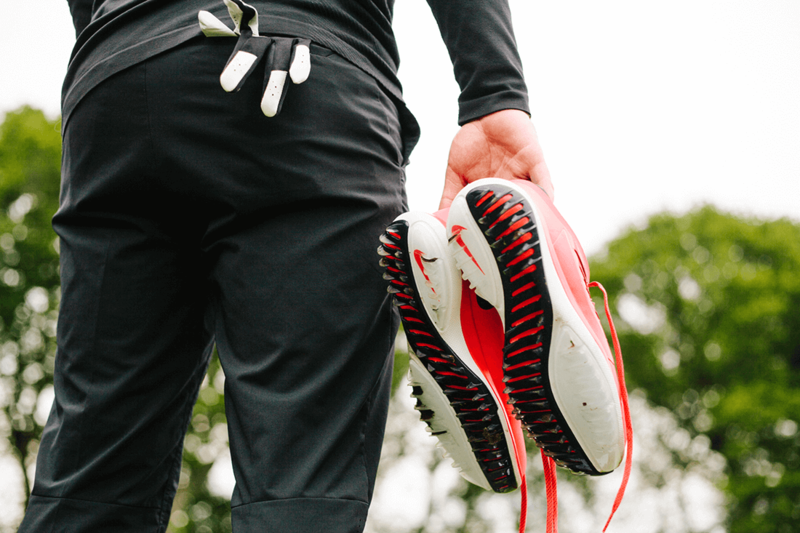 Ape to Gentleman were challenged to put the new Lunar Control Vapor by Nike Golf through its paces, so we headed to Newark Golf Club in the UK with professional golfer Sam Dixon, and captured the affair through the expert lens of sports photographer Josh Dixon. 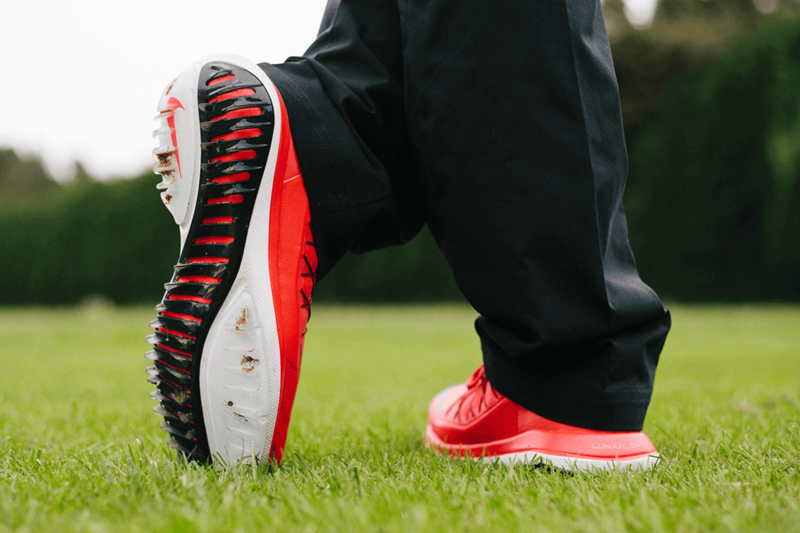 The sole of the shoe or, “the the new traction system” is inspired by the tread on snowmobiles, and is designed to decouple the medial heel and lateral forefoot area to help propel the golfer through the swing. The articulated channels also allow for better balance while keeping the golfer lower to the ground. 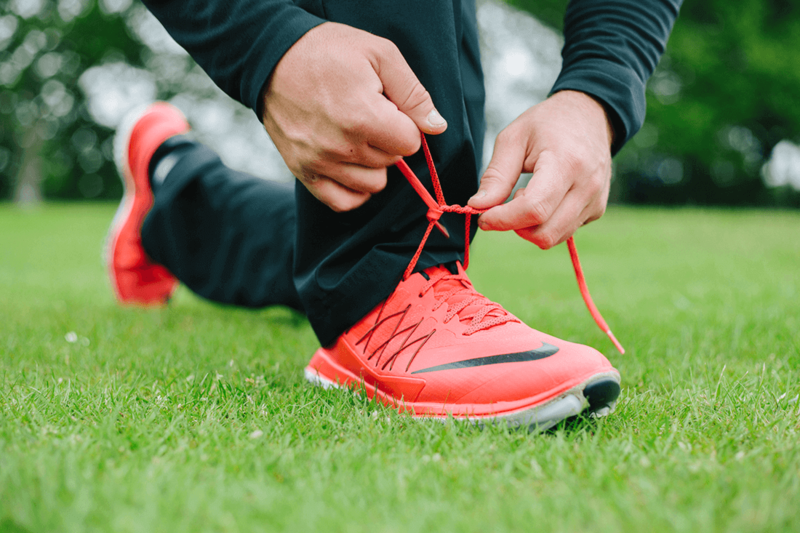 And a TPU tread features a protruding series of tooth-like tracks allowing for more points of contact for maximum traction that continuously engage with the ground as weight shifts from heel to toe. 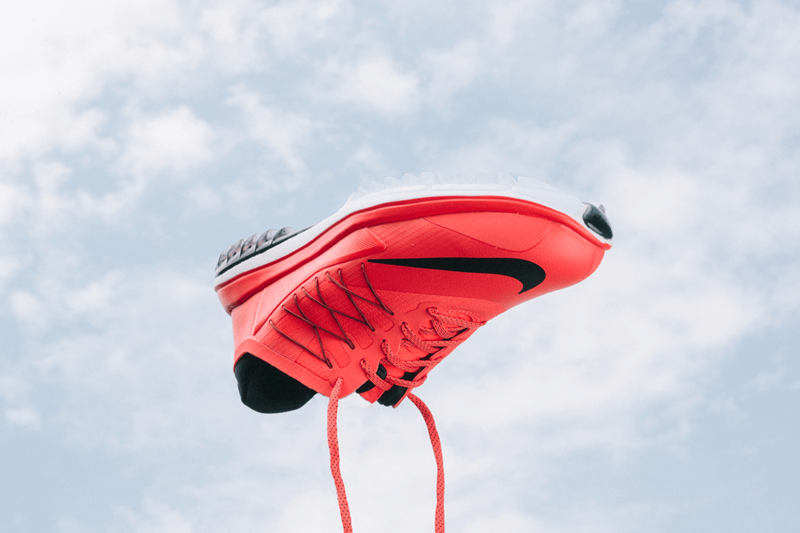 The shoe is both effective in a bunker and friendly on the green, and the new traction system is married to a full-length Lunarlon midsole and Nike Flywire. Combined these elements help keep the foot stable, and cushioned, through the swing. 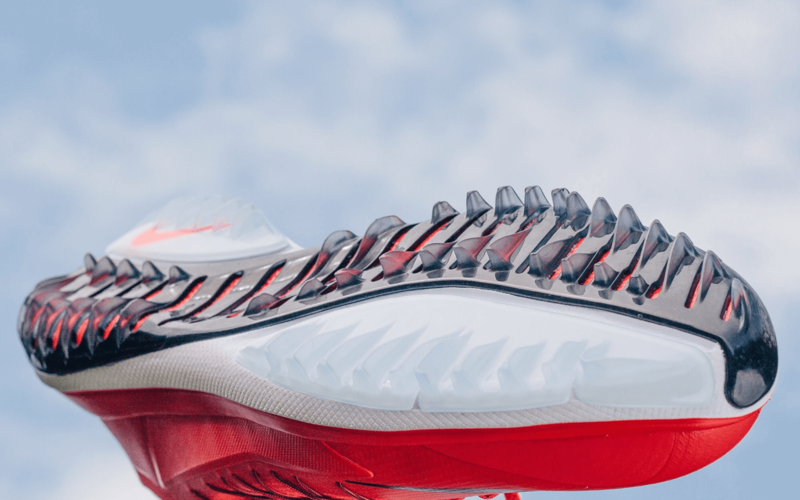 A lightweight premium microfiber upper with a 2-year waterproof guarantee to keep feet dry has also been implemented by Nike Golf. 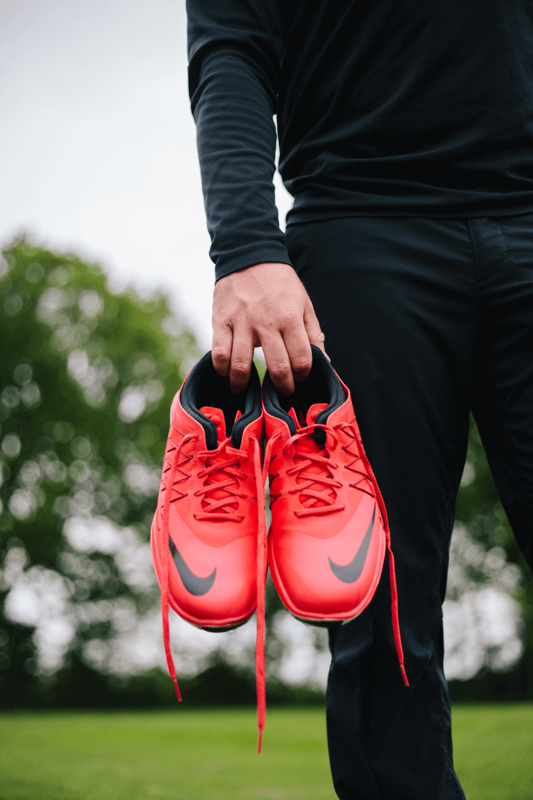 We asked Sam Dixon for his feedback and it was nothing but positive, highlighting; the stylish look of the shoe and colour-way, its comfort and above all the unique grip he felt. The end result- this is the new tech, spikes are old news.